The Supreme Judicial Court ruled Thursday that the state can continue to use taxpayer-funded motel rooms solely as housing of last resort for homeless families, reversing a lower court mandate that expanded the set of circumstances when motel rooms had to be used. The 5-2 high court decision vacated a preliminary injunction that required the state place homeless families with recognized disabilities in a motel if available shelters couldn’t accommodate their circumstances and the motel could. The ruling in a class-action lawsuit brought by homeless mothers marks a victory for Governor Charlie Baker, who faces voters next month, and who has crowed about his success in reducing the number of families in motels at state expense from 1,500 when he took office to 38 Thursday night. His administration had argued that the lower court ruling would thwart years of hard-earned progress toward phasing out the use of motels as part of Massachusetts’ unique right-to-shelter program, which requires the state to provide housing to homeless children and their parents. But the plaintiffs pointed to several instances in which they say disabled kids needlessly suffered because the state didn’t want to put their family in a motel that could accommodate their needs — being closer to their medical providers at Boston Children’s Hospital, for instance. And, they have argued, an autistic child or a person with a mental health issue might have their conditions exacerbated by a crowded, chaotic shelter with shared common spaces, whereas a motel might be more suitable for their disabilities. The decision marked the newest twist in the decades-long balancing act for Massachusetts courts and policy makers: weighing the moral responsibility to house destitute families so kids don’t end up on the street with the inherent limits of a taxpayer-funded entitlement program. Writing for the majority, Justice Barbara A. Lenk said the lower court had made too broad a ruling and overstepped in upending the Department of Housing and Community Development’s “reasonable interpretation” of its mandates under state law and the federal Americans with Disabilities Act, which requires reasonable accommodations on a case-by-case basis. Lenk said a preliminary injunction could lead to unintended adverse consequences, and doesn’t comport with the idea that such an order should preserve the status quo pending the outcome of litigation. The SJC ordered the matter back to Suffolk Superior Court for further proceedings. The ruling won’t have an immediate effect on families because the lower court injunction was stayed by an appeals court last December, meaning the administration hasn’t had to follow it. Massachusetts law dictates that when eligible families — those whose incomes are close to or below the federal poverty level — can show they are homeless because of domestic violence, natural disaster, no-fault eviction, or substantial health and safety risks, the state is mandated to provide housing. That can take the form of a place in a shelter or a motel. 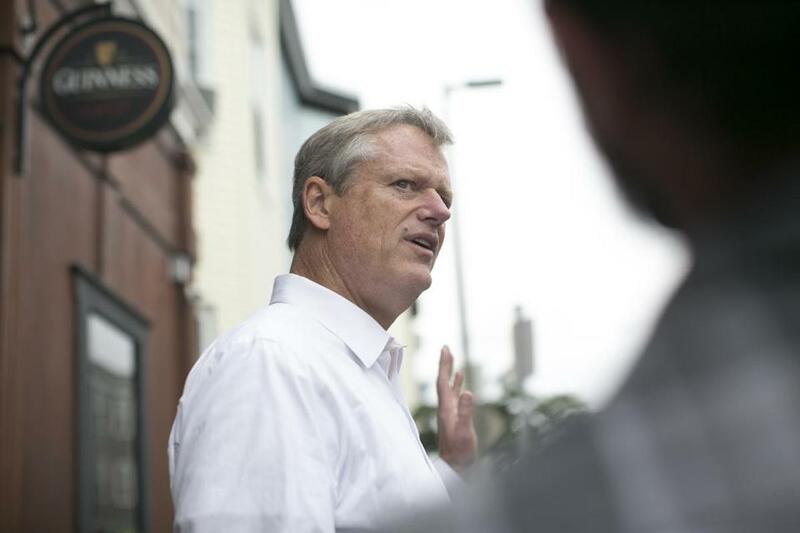 Before becoming governor, Baker promised to reduce the number of families in motels to zero by the end of his four years — Jan. 8, 2019. “We are disappointed by the Court’s ruling,” said lawyer Ruth Bourquin, who represents the homeless family plaintiffs and works for the American Civil Liberties Union of Massachusetts. Still, she emphasized that the court acknowledged the state’s obligation to make reasonable accommodations when providing emergency shelter to families with disabilities, and that motels can be a reasonable accommodations for some families. “As this litigation moves forward, we will continue to fight to ensure that the rights of vulnerable families experiencing homelessness are vindicated,” she said. Speaking to reporters after an unrelated event, Baker noted families living in motels often lack access to outdoor space for children to play and good cooking facilities. On Thursday night, in addition to the 38 families in motels, there were 3,564 families in shelters at state expense. When Baker took office on Jan. 8, 2015, there were 1,500 families in motels and 3,111 families in shelters.